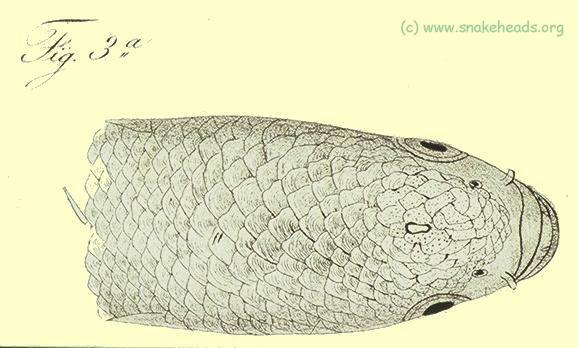 This drawing shows the head scales of C. micropeltes. It is taken from the world famous ichthyological atlas of Bleeker in the 1870s: table CCCXCVIX, fig. 3a.